Reporting on the organization’s performance throughout its transformation journey, Dr. Manzo showcased the Philippine Heart Center’s breakthrough results and mentioned the mechanisms and teams that helped achieve its goals. 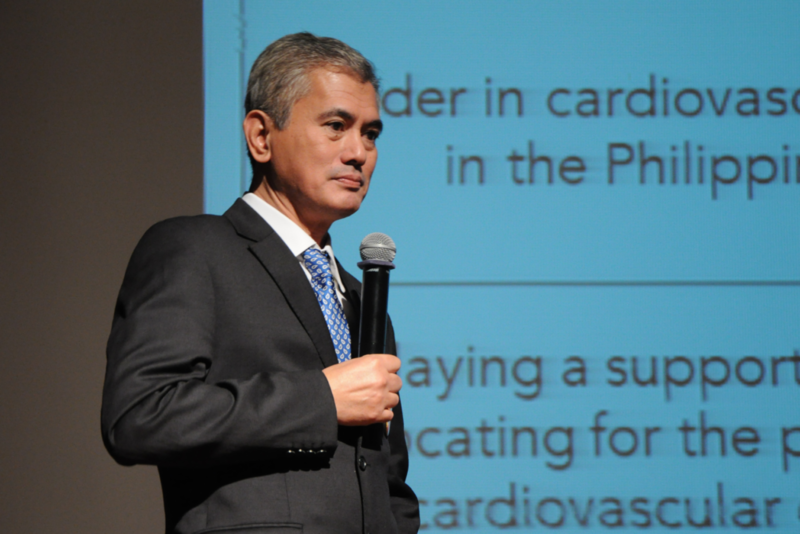 Dr. Gerardo Manzo discusses the transformation of the Philippine Heart Center’s balanced scorecard. It was after participating in a cascading session at the Department of Health (DOH) that PHC decided to try out ISA’s program, starting first with consultations with the Institute. Even though PHC was familiar with Kaplan and Norton’s Balanced Scorecard after creating one in 2009, it saw the PGS’s value as it was designed to focus on other perspectives beyond financial management. 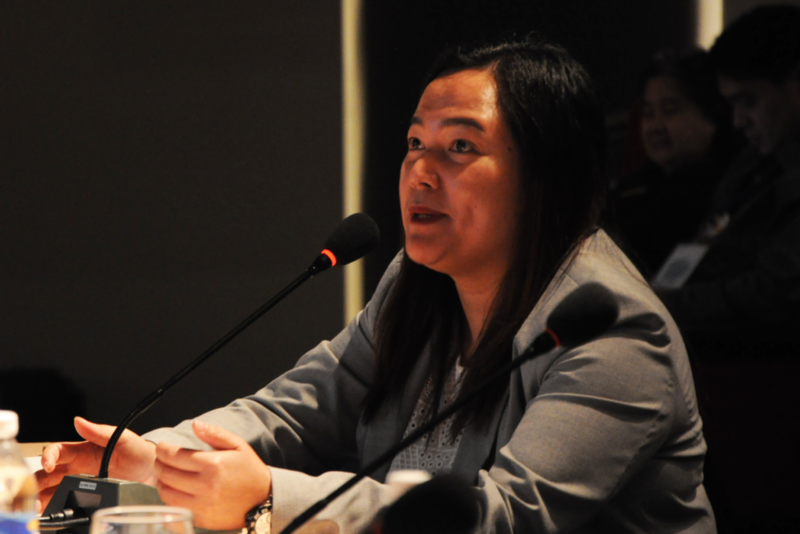 Unilab’s Claire Papa provides her insights during PHC’s panel discussion. With a clearer direction and a stronger conviction to follow through on its mandate, PHC presented several initiatives that went beyond its scorecard. These included raising the number from 6 to 10 new operating rooms, considered to be the most technologically advanced in the Philippines. This was a welcome change after getting nearly obsolete pieces of equipment in the past. PHC also developed clinical pathways that Dr. Manzo described as an “academic exercise” for it to improve on the organization’s healthcare processes. This is related to its appointment by PhilHealth as the referral center for the clinical pathways concerned with creating and implementing the Z-benefit package. The Z-benefit package deals with services and rates for Case Type Z conditions, which are catastrophic illnesses that usually end up with prolonged hospitalization and poor outcomes due to late intervention. Dr. Manzo said that PHC also set up 6 regional heart centers in a span of 2 and a half years. The hospital is now aiming to have at least one in all 17 regions in the Philippines. (L-R) Philippine Heart Center’s Former Executive Director Dr. Manuel Chua Chiaco Jr., Assistant Director for Administrative Services Josephine Guillermo-Lopez, Assistant Director for Medical Services Dr. Gerardo Manzo, Executive Director Dr. Joel Abanilla, Assistant Director for Nursing Services Dr. Maria Linda Buhat, and Office for Strategy Management Chair Dr. Juliet Balderas with the hospital’s PGS plaque and Trailblazers. Dr. Manzo mentioned the importance of the Office for Strategy Management (OSM), an important office leading the hospital’s journey and an acronym he now considers a byword among national government agencies. He explained how an OSM is not part of the original structure but has greatly helped make monitoring progress and seeking feedback easier. In PHC, monitoring unit and department performances are done on a regular basis. Aside from the OSM, there are also specialized groups that provide insights on the hospital’s performance, such as the Multi-Sector Governance Council (MSGC), a group of people from related sectors that advise and provide support for PHC. One of the MSGC’s contributions was the funding for the construction of the Children’s Heart Foundation Grand Auditorium, the venue for PHC’s public revalida. 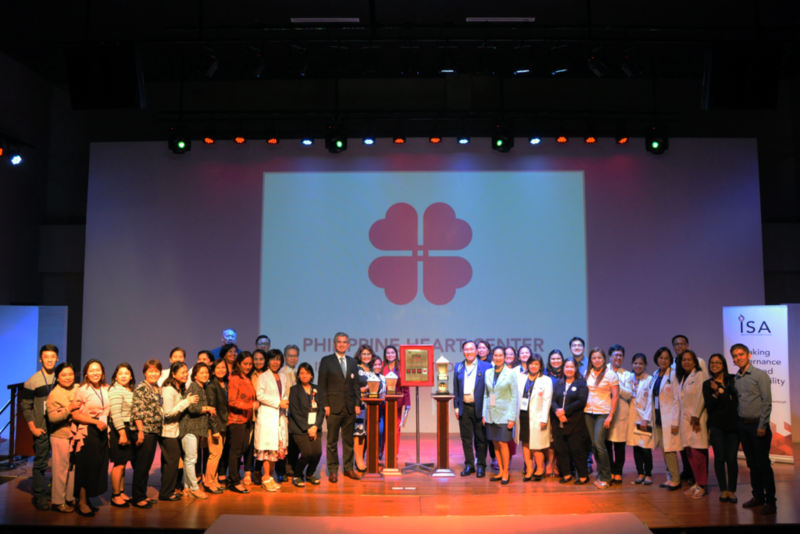 The Philippine Heart Center boasts now of new allies for the PGS in the healthcare sector. Through a health summit it launched in 2016, it created a platform to share its best practices, with a surprising turnout of 96 participating hospitals and over 400 delegates for its first year. PHC is now inspiring 9 hospitals to take on a similar journey with the PGS. Those recently welcomed onboard were the Southern Philippines Medical Center, Tondo Medical Center, Romblon Provincial Hospital, and Talisay Medical Center. Dr. Manzo then mentioned the hospitals already initiated into the PGS, such as the Mariano Marcos Memorial Hospital and Medical Center, and Navotas City Hospital. He also recognized the nearby hospitals that are reaping the benefits of the PGS: Lung Center of the Philippines, National Kidney and Transplant Institute, and the PGS Initiated Philippine Children’s Medical Center. Members of the Philippine Heart Center gather for a photo after the hospital’s public revalida. 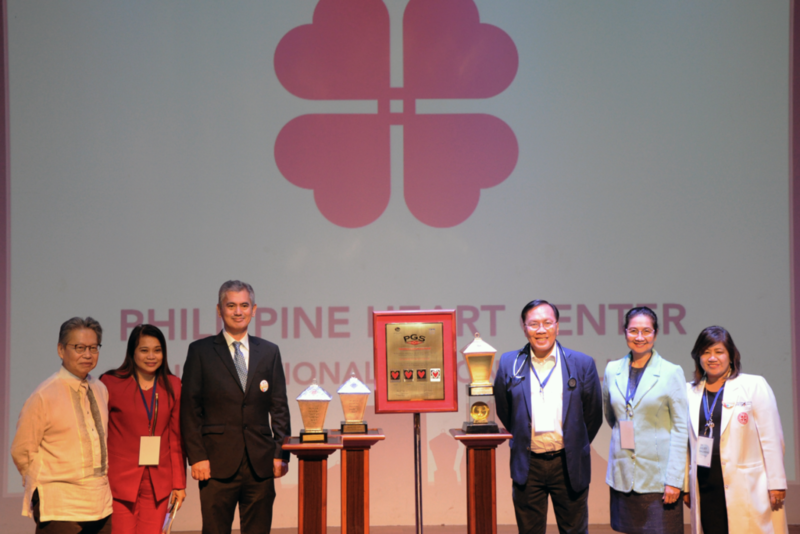 After presenting before a panel that consisted of ISA Trustees Rex Drilon and Melinda de Jesus, ISA Chairman Francisco Del Rosario Jr, and United Laboratories (Unilab) Director for External Affairs Claire Papa, the Philippine Heart Center was conferred “Institutionalized”, the last stage of the PGS, and given the Gold Trailblazer Award for its exemplary delivery of results.